If you’ve weighed the reasons to get a PS4 over an Xbox One PS4 vs Xbox One: 5 Reasons To Buy The PS4 PS4 vs Xbox One: 5 Reasons To Buy The PS4 E3 2013 marked the moment when the next-generation truly began, with all three contenders -- the PlayStation 4 (PS4), Xbox One, and Wii U -- revealed in full. The Wii U is already on the... Read More and chose to go with Sony for your current-gen experience, you’ve made a great choice! Along with some awesome exclusive games 5 PS4 Exclusive Titles To Make Xbox One Owners Jealous 5 PS4 Exclusive Titles To Make Xbox One Owners Jealous Having already proposed five reasons you should be buying a PlayStation 4, it's time to focus in on the games that will be released for the system within its first year on sale. What follows... Read More , the PlayStation 4 allows users to swap out its hard disk drive (HDD) in just a few minutes. By comparison, the Xbox One relies on external hard drives The 8 Best Portable Hard Drives You Can Buy Right Now The 8 Best Portable Hard Drives You Can Buy Right Now Read More for increased space, which the PS4 doesn’t support. In this tutorial, we’ll completely step through how to upgrade the PS4’s HDD, along with some suggestions for what drive to purchase. Which Drive Do I Get? 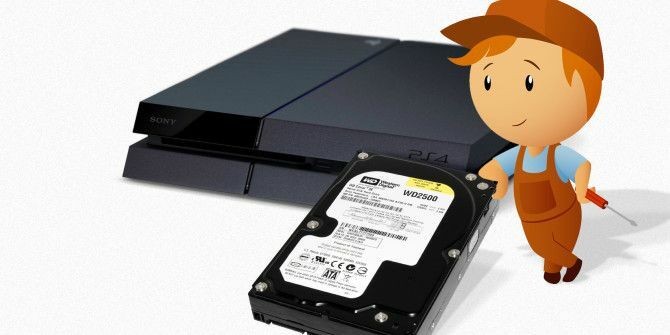 Hard Disk Drives (HDD) are the traditional option, and what’s currently in your PS4. These are the slowest of the three choices, but also the cheapest per gigabyte. Solid State Drives (SSD) have no moving parts and use flash memory to store data, which makes them incredibly fast. The major downside is their cost. For example, you’d pay $430 for a 1 TB SSD, while a 1 TB HDD is just $70. Costs will surely drop over time, but for now they’re not budget-friendly. If you’re interested in the details, we’ve covered how SSDs work How Do Solid-State Drives Work? How Do Solid-State Drives Work? In this article, you'll learn exactly what SSDs are, how SSDs actually work and operate, why SSDs are so useful, and the one major downside to SSDs. Read More . Soild-State Hybrid Drives (SSHD) are a combination of the two. You can get a speed increase and more space without breaking the bank, such as this 1 TB SSHD for $85. IGN has put the three to a test if you’re into hard numbers, but the best choice depends on your needs. An SSD is the most expensive option, and frankly, the slight speed gain isn’t worth it. Consider this: if you bought a new car for $20,000, would you pay $18,000 for an upgrade that gave it an extra five horsepower or another mile per gallon? That would be silly, and it’s virtually the same with a PS4. Your system cost $400, and paying $400 for a slightly faster terabyte drive isn’t cost-effective. It might be possible to find a better price with PriceZombie Save Time And Money: PriceZombie Brings The Deals To You Save Time And Money: PriceZombie Brings The Deals To You With the vast number of places to shop online, it can be hard to find the best deals. Let PriceZombie do the work for you and save you lots of cash. Read More , but still wouldn’t be worth it. The main point in deciding between a hybrid drive and a regular HDD is how much space you require. The stock PS4 drive is 500 GB (~407 GB free after initialization), so getting a terabyte drive doubles that space. If that’s enough for you, a 1 TB hybrid drive is your best bet; you’ll have approximately 861 GB free after installing the PS4 system software. With PlayStation Plus free games 5 Awesome Games That Make PlayStation Plus Worth The Price [MUO Gaming] 5 Awesome Games That Make PlayStation Plus Worth The Price [MUO Gaming] I recently wrote an article about the biggest rip offs in the history of video games. In it, I was quick to point out that Microsoft charges $60 a year for a service that simply... Read More and 40 GB+ installs even for games on a disc, you might find that 1 TB is not enough. Unfortunately, you’re not able to find a hybrid drive 1.5 TB or larger that will work in the PS4. If you’re going to go big, I recommend getting a 2 TB HDD. For around $40 more than a 1 TB, you can quadruple your current drive space, and shouldn’t have any worries about storage for a long time. If money is no object and you want to go overkill with an SSD, the 1 TB Samsung 840 EVO-S at $430 is a good choice. Bear in mind you’re only doubling your storage space for more than what you paid for the system. If you want to go middle-of-the-road with a hybrid, try this Seagate 1 TB Solid State Hybrid Drive for $85. If you want maximum space, go for the 2 TB Samsung Seagate Momentus SpinPoint for $115. This is the same drive I put in my PS4. If you decide not to go with any of these choices, be sure that whatever drive you choose is 2.5 inches (a laptop drive), no thicker than 9.5 mm, larger than 160 GB (duh), and is Serial ATA (SATA) compatible. As a shortcut, read the reviews and answers sections Funny Amazon Reviews: 6 Items That Feature Hilarious User Feedback Funny Amazon Reviews: 6 Items That Feature Hilarious User Feedback Niche products on the Internet are often the subject of ridicule, especially on big retail websites like Amazon where user feedback is encouraged. Often these "reviews" make for a hilarious read, as communities around the... Read More on Amazon (search for “PS4”) to make sure others have successfully used them already. Okay, now that you’ve selected an awesome new drive to put in your PS4, let’s walk through the procedure. You’ll need the new drive, a Phillips head screwdriver, and a flash drive 5 of the Fastest and Best USB 3.0 Flash Drives 5 of the Fastest and Best USB 3.0 Flash Drives Which are the fastest USB 3.0 flash drives you can buy? Here are five of the best, ranging from $20 to $200. Read More that’s over 1 GB for the system software install. Just as it’s important to back up your computer 6 Safest Ways to Backup & Restore Your Files in Windows 7 & 8 6 Safest Ways to Backup & Restore Your Files in Windows 7 & 8 By now, we're sure you've read the advice over and over: Everyone needs to back up their files. But deciding to back up your files is only part of the process. There are so many... Read More in case of a drive failure, you need to back up your PS4’s data since you’re starting from a clean slate. 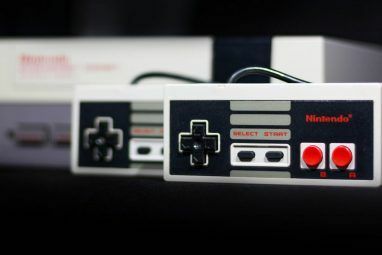 This includes save game data and any screenshots or video clips you’ve captured. If you’re a PS+ subscriber, you can back up this data to the cloud by going to Settings > Application Save Data Management > Saved Data in System Storage > Upload to Online Storage. From here, simply choose each game you have, and upload all of its save data to your PS+ cloud storage. If you’re not a PS+ subscriber, you can offload your saves to a USB device. Go to the same menu as above, but choose Copy to USB Storage Device and follow the same steps to copy your saves to a flash drive. To save any captures you don’t want to lose, go to Settings > System Storage Management > Capture Gallery, which will allow you to see everything you’ve recorded. You can press Options and then Copy to USB Storage Device, or click the Share button to upload pictures to Facebook for safekeeping. For videos, use the same USB method, or upload them to Facebook Upload Photos To Facebook Automatically And In The Blink Of An Eye With These Tools Upload Photos To Facebook Automatically And In The Blink Of An Eye With These Tools Whether it's automatically uploading photos on the go using your phone, or automating uploads from your computer, there are several handy ways you can take the hard work out of getting your photos into your... Read More or YouTube. Don’t worry about backing up your games; you’ll have to reinstall those after the swap. Once you’ve done this, you’ve backed up everything you can. Make sure you know your PSN account login information, and then proceed! First, shut down your PS4 completely. Make sure that the light on the system is off; if it’s orange, then Rest Mode is on and you need to start it up so you can shut it down properly. Once it’s fully shut down, remove all cords and USB devices from it. You should have the system totally isolated. The PS4 has two sections on the top: one has a matte finish and the other is glossy. While facing front, slide the glossy part left, away from the center of the system; it should come off without any struggle. Next, you’ll see a single screw holding the HDD in place. It’s silver and has the PlayStation symbols on it. You’ll need a tiny Phillips head screwdriver for this; I used the smallest one in the kit. As a reminder, turn the screw left to loosen. Be gentle and take care not to strip it. Once it’s out, set it in a safe place since you’ll need to replace it in a moment. Now that the screw is free, pull the HDD enclosure out towards you. You’ll notice that it’s held securely in place in its bracketing. Around the enclosure, you’ll see four screws (one is kind of hidden under the “handle”) that you need to remove to free the actual drive. Again, don’t be too rough on them and make sure you don’t lose them once they’re free. One of these screws gave me some trouble coming out; if this happens to you try using the next larger size screwdriver, which should bring it out easily. As you remove screws the drive will want to slide around, so watch out. Now the old HDD is free and you can remove it. Set it aside, but don’t throw it out! Place your new drive in the same way the old one was facing; it should fit in perfectly. From this point on, you’re working in reverse. Now you need to replace the four screws that hold the drive in tight. Remember: lefty loosey, righty tighty, and don’t tighten them beyond a reasonable amount. The bracket is whole again, so just slide it back into the system where it was before. The little “handle” should be facing out. Grab the PlayStation screw and screw it back in — not too tight! Once it’s in, you can snap the plastic part back on the way it came. On your flash drive, make a folder called “PS4” (no quotes, all caps) at its root. In the PS4 folder, make another folder called “UPDATE”. Then download the system software update from Sony and place it in the UPDATE folder. Assuming your PS4 is turned off, press and hold the power button for several seconds until you hear two beeps. The power button is concealed, so if you forgot where it is, here’s a reference. You’ll be in Safe Mode, where you can choose Option 7: Initialize and Reinstall System Software. Click through the prompts and the PS4 will take a few minutes to ready itself. Grab a drink 4 DIY Geeky Drink Recipes to Get Your Buzz On 4 DIY Geeky Drink Recipes to Get Your Buzz On As a writer, developer and all-round geek, I'm of the opinion that my best work is done while thoroughly off my head. Read More while you wait. After the PS4 returns control to you, it will be as if you’re beginning from a fresh install. You’ll need to sign in with your PSN account, then you can fix your settings, re-download your games from the PlayStation Store, and restore your saves by reversing the above process: Settings > Application Save Data Management and then either Saved Data In Online Storage or Saved Data on USB Storage. Note that you need to “own” a game before you restore its save, so you need to put the Battlefield 4 disc in and let it install before you restore its save data, for instance. Other than that, you should be good to go. As mentioned above, digital games are linked with your account so you won’t have any issues there, and you backed up your saves so everything is as it was. After all was done, I had a beautiful 1.7 TB free! Now you have plenty of space, a slight speed boost, or both added to your PS4 – and it took less than an hour. It’s admirable that Sony made upgrading the HDD so easy, ensuring that gamers will never run out of space. As an added bonus, if you have a PS3, you can put the old 500 GB hard drive in there so you get two upgrades for the price of one. See the full guide to upgrading the PS3 HDD How To Upgrade Your PS3 HDD How To Upgrade Your PS3 HDD The days of having a slot-in memory cartridge are far gone - a few hundred gigabytes would be modest by today's standards. Let's upgrade. Luckily, Sony made it really easy and user-serviceable to upgrade the... Read More from James if you have a PS3. If not, hold onto that old drive, as it will likely come in handy someday 3 Creative Upcycling Ideas For Your Old Hard Drive 3 Creative Upcycling Ideas For Your Old Hard Drive Care to get the most out of your old hard drive? 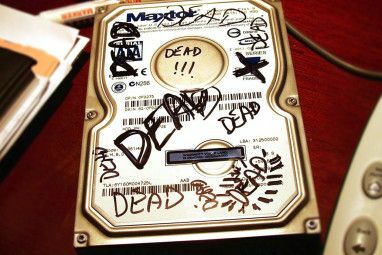 Even if the drive is dead, there may be one more creative use left in it before submitting its remains for recycling. It is... Read More . Looking for some new games to put on that fresh drive? Check out our review of The Evil Within Avoid a Gruesome Fate: The Evil Within Review Avoid a Gruesome Fate: The Evil Within Review The Evil Within is a game that claims to bring survival horror back to its roots. Does it succeed? Read More , or look ahead to 5 fantastic games coming in 2015 5 Games That Will Make 2015 Gaming's Best Year Ever 5 Games That Will Make 2015 Gaming's Best Year Ever It's easy to see that 2015 just might be the best year for video games that we've ever had, even rivaling 1998, the year generally regarded as the greatest. Read More . Will you be upgrading your PS4’s hard drive? Which option are you thinking about and why? Start a discussion in the comments! Explore more about: Hard Drive, PlayStation. 2 tb isnt enough when you own plenty of games and they all update constantly, and dlc etc. i own both systems, the fact that xbox lets u keep your original hd and use external hd at the sametime is a lifesaver when you own almost every game. the fact that u have to swap out hd on ps4 is a chore. There is one very simple rule about TimeMachine - if you want to guarantee that a file remains on your TimeMachine backup do not remove it from your computer's hard drive. TimeMachine backs up changed files every hour for 24 hours. Walter, I think you scrolled too far down the article that you were reading and accidentally left a comment on an unrelated article. Otherwise, great stuff. Thanks a bunch. Ben - Do you have a parts list for this ? Im seeing conflicting information regarding cables and tb drives that can be used. Any and all information is appreciated! Thanks ! it took me about an hour to figure that out. 1. on a scale of 1 to 10 how difficult is it to upload the data from the old drive to cloud and a USB then to the new drive to re-download it? 2. I heard that some people had trouble installing the new drive. One guy said he got outdated firmware from the PlayStation website and had to download it from Reddit. Is there any problems I might have to worry about when installing the new drive? My PS4 keeps telling me there is no update version 2.50 found on my thumb drive. It is in FAT32 format (PS4-->UPDATE folders) and I downloaded the file multiple times from the link that PSN support provided to me. I was able to backup my save files to this same thumb drive from my PS4?!?!? It's a much larger download, so maybe it can help others. For the "Back Up Your Stuff" section, what does it mean we have to reinstall games and does my game data and progress carry over to the new drive? And how do I reinstall? Robert, that means any games you have downloaded digitally (like PS Plus games) must be re-downloaded, as they won't be on your new hard drive. They'll be free since you already own them. For on-disc games, you'll have to re-"install" them to the HDD the first time you insert them. You need to make sure your saves are uploaded to the PS Plus cloud to back them up - it's also not a bad idea to copy them to a flash drive too. This article might help you. If you have more questions please ask. Hi, just saying thanks again Ben for this article as it made upgrading the PS4 HDD look so easy that I finally went ahead and did it (I detest opening up electronic stuff)! Suffice to say it only took, literally, 5 minutes to swap out the old HDD and replace with the new 2TB one, I went with the Samsung 9.5mm M9T SATA 2.5" model which has dropped to just £80 in the UK now. Sony support now have very indepth walkthroughs on their website which also helped, especially the direct links for the Update .PUP file. Reinitialisation took 10 minutes, redownloading and reinstalling all games, saves, updates, DLC, addons, PS Plus content and everything else took 16 hours and I now have 900GB to spare. Couldn't have done it before your article as I thought it was going to be a really complicated and tricky thing to do, so again, many thanks! You're so welcome! I'm glad my guide helped you and that you're loaded up with storage now. Enjoy not worrying about space! I have a question and sorry if you've already answered this, but sometimes I have trouble spotting an answer given to someone else's comments just because I try to avoid negative comments and sometimes I wind up passing by something I needed/wanted. Anyway, I've tried plugging in a flash drive into my PS4 and it doesn't recognize it. I had formatted to FAT 32, still doesn't work. I reformatted it to different formats, and still nothing. I bought a new flash drive and still nothing. Does the Flash drive HAVE to be 3.0 or 2.0? I don't understand why it doesn't recognize my flash drives. I did read above that someone used a Sony flash drive and that didn't work. So it's not a brand name issue. Can you give me a clue if not a good answer? That's really strange. Any flash drive should work, and if you tried two different ones that's even weirder. Are you trying to copy game or capture files over to the flash drive? The PS4 doesn't bring up a little menu to view picture files, etc. like the PS3 did. I think it might be problem due to MBR or GPT partition. Chnage to different one and try. You'll need to use a flash drive and reinstall the system software again just like you did the first time. The new drive is blank and therefore doesn't have the PS4 software on it. PS3 Backup & Restore methods were a whole lot simpler to deal with, no having to redownload all your digital games & DLC. One simple backup & restore process for everything (except trophies). Wish they had included the same functionality in the PS4. i got a question, i bought digital versions of the last of us and shadows of mordor, when i replace the old drive for a new one, got to buy it again or the game appears for free download on my psn+ account? Since you already bought the game, you can just go to your downloads list and re-download it for no cost once you replace the drive. Just use the same account. BEN,awesome article bro.I just bought a 4TB WD external and want to upgrade my ps4,could you email me a pic/and or link of the cable that I need to plug into the inside of the ps4 where you normally plug a HD into.Also,just curious?Why havn't they started making 4,5,6 TB size drives in the 2.5" form? Thanks for everything. Unfortunately, I haven't used an external drive to upgrade my system so I don't know which cable you need to use. I don't know why they haven't made bigger sizes in 2.5" drives, but I'm sure they're coming soon! To all you people who 'have been trying for days', if the update doesn't work its because you're using the wrong update file. Sony official site ONLY has the 2.02 update for REINSTALLING PS4 TO A CLEAN DRIVE. The 2.03 update is ONLY to UPGRADE FROM A PREVIOUS UPDATE. Check the size file as it should be just under 900mb, the 'update from previous update' files are only around 200mb. You also have to make sure that you choose either the US version or the EU version (even though PS4's are region free). I went through this whole process the long way so you don't have to, the trouble is no-one explains in detail anymore. If you're saying I don't explain in detail, I wasn't aware that anyone was having a problem with this. I didn't have any issue; Sony keeps the latest version of the system software on their site. I didn't know it would be an issue. Are there people that can help you install new memory and reinstall. Tony, do you mean changing the RAM in your PS4? Xbox one is so much easier, Any USB 3 drives over 256GB can be used, just plug into a USB port and your ready to go, no maximum size limit and up to two drives can be used plus of course you keep the hard drive space of the internal drive and don't have to mess around swapping any files. Also the USB 3 drive with all your games and DLC can simply be unplugged and taken to another Xbox One anywhere you can sign in and play the games instantly and without downloading a thing. This is a nice feature. I wouldn't necessarily say it's easier; the PS4's process is as simple as can be, and only takes a few minutes. The external drive solution also adds some bulk. But, in the end, it's great that owners of both systems have a way to expand their storage. Can I replace my stock ps3 hard drive for a stock ps4 hard drive? You should be able to do that just fine. The drive I had in my PS3 was stock and I replaced it with the stock drive from my PS4. It's been perfect. I bought the PS4 at launch & just ran out of space yesterday. I've bought a 2 TB hard drive. My internet provider has a data cap of 350GB per month. I really don't want to redownload all my games because I would be over that limit in 1 day. I heard if you clone a hard drive the PS4 would see the new 2TB hard drive as a 500GB hard drive if cloned(I'm not sure if this is true). Is it possible to copy your game installs over to a new hard drive without redownloading from the PSN store? James, I can't be sure because I didn't clone my drive. However, my ~140 GB SSD that's in my college-issued laptop was cloned onto a ~160 GB SSD earlier this year, and the extra ~20 GB was unallocated space, so the same situation would likely apply to your PS4 if you cloned the HDD. I'm not sure if you can copy over your game installs. There's probably a way, but it might not be officially supported. Andrew, any laptop drive (2.5 inches) should work fine. I would read reviews on the one you pick before you buy it to be sure that you won't end up disappointed. The drive that I bought looks like it is not available at Best Buy. I've been trying to get this to work for the last 3 days and it still won't. Went out and bought a Sony USB drive and still not working. I've followed all the steps, can't understand why it's not working for me. you would take the time and type external hard drive ps into Google or YouTube, you would see that there are several people (including myself) that are running an external hard drive for the ps4. I am using a seagate 3.5' 2tb hybrid with 7600rpm. Others are running up to 6tb without any issues. You remove the stock drive and run a esata to sata mm converter cable into where it would go, then run it out the back side. The cover will go back on, so don't worry. Then you run the cable to an external enclosure that is esata capable and have it hold any drive your heart desires. Before you call me a liar or dispute it, just Google it or go to you tube. 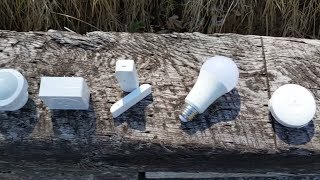 There are several videos showing how to do it. Videos with them running games with no lag, as well as one of the videos the guy goes to the system menu and shows his available memory over 3000GB. So jumping all over someone for making a comment about a 3.5 sized drive just makes you sound pretty rude and, as it turns out, kind of ignorant. It is beyond annoying seeing website after website say the same thing, and all you have to do is go to both the number 1 and number 2 most visited websites and make sure your information is correct. One of the videos have been up for over 6 months already! Where was I jumping all over someone for making a comment about a 3.5" drive? I understand it's not impossible to set up a desktop drive with the PS4. I never said that. However, are most people going to want to run a cable as you describe? By saying that 3.5" drives don't work I'm not claiming that it's impossible to use them, but rather trying to keep people from buying a product that won't work. Most people don't want a bunch of shenanigans to make the drive work. Unless it's a very well hidden option I don't think you can copy any of your captures back to the ps4. Kind of a bummer. I hope they add support for that. I'd like to back up my captures and reimport them, but as someone who's invested quite some time in sharefactory it would also be really nice to get my friends captures copied onto my ps4 so I could use cuts from their perspective in videoes from our gaming sessions. I have followed all the steps for formatting the hard drive that sony gives. Made sure the folders were set up correctly and everything is in caps. I had the 2.03 update on the flash drive and it still tells me I need the 2.03 update. I'm using a brand new 3.0 usb flash drive. I heard a few places that the flash drive needs to be formatted into FAT32. Is that correct and if so how do I go about that? Yes, you'll need to format any hard drive that you place into your system. The console will do it for you when you install the system software. How do I get the saved screenshots and video clips back onto the new HDD from the USB drive? I can only see the option for doing that with saved game data . Did you go to Settings > Storage Management > Capture Gallery and hit the Options button so you could copy the data back over? After the upgrade, would I be able to put the original drive back in and use it as it was? I can't say for sure. I believe the PS3 requires you to format any new hard drive when you place it into the system, even if it was previously used on another PS3. I don't know if it's the same on PS4, and it could be that once the hard drive is "tied" with your system, it won't have to format. So make sure to back up! I'll need a bit more information to help. Do you get an error code that you can look up online? Will the PS4 itself not turn on or are you unable to reinstall the system software? My understanding is that the USB port on the PS4 will not allow an external drive to be used. Is this accurate? Is an internal drive the only way to upgrade the memory? You're correct. You need a flash drive for the upgrade process, but an external drive can't be used to install new games on. As I noted at the start, Xbox One is just the opposite: their internal HDDs aren't meant to be replaced, but you can use external storage. I appreciate the information. Much thanks to you both. Sure thing. It really isn't hard; if you're nervous about doing it you'll be fine. I was wondering about something. If I bought a ps4 and installed the hard drive before I turned the system on, would I still need to down load the system update software from a flash drive, or would that happen on it's own after I go through the registration process? You would still need to install from flash drive. There's nothing installed on a clean drive, obviously. Josh is correct. The PS4 ships with the system software installed, so when you install a new drive, it's completely blank. I meant, I wouldn't lose the saved data, and what about the special content I receive? Would that carry over, too? Thanks. The special content is probably a download from the PS Store you got from a code, and you could just re-download it after signing in on your new HDD. No problem there either. I'm half way through Assassin's Creed: Unity, if I were to get a new HDD, I wouldn't lose that data would I on the new HDD that I purchased? You'd need to back up that data first. Either put it in PS Plus storage or a flash drive, then after you swap the HDD you can put the save right back on. I did this with CoD: AW during my review and didn't miss a beat. Can't one just use Clonezilla or some other form of disk duplication, to do this? I suppose you could, but you'd still need to physically replace the drive at some point, so it wouldn't save you that much time. All that you can backup are your saves and captures, and it doesn't take long to do so. I am not sure how much time would save you or no time save at all but you could clone your hard drive, that way you don't have to reinstall the system software. I have good experience with Clonezilla clonezilla.org/ that does hard drive to hard drive cloning. Reinstalling the system software doesn't take much time at all; I'm not sure why you'd want to take the time to clone the drive. You still have to replace it, so the time benefit would be negligible. What are you talking about? These screenshots were all taken when I actually replaced my PS4's HDD. 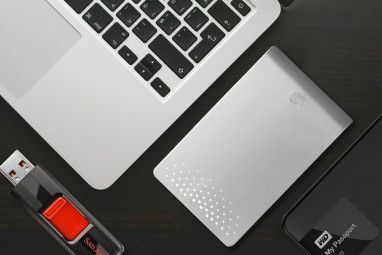 @Ben S: The listing photo at the top of the article (the one the little cartoon guy is leaning on) is a 250GB WD 3.5" drive. Oh, that. I don't do the header images, and as such I didn't have control over that. It's not an accurate representation of what you'll be doing; it's just meant to be a cool image. I made sure to clearly state that you need a 2.5" drive in the article. Very nice write up, this is a must do for any PS owner. I put a 1TB hybrid drive in my PS3 a few years ago when I signed up for the Plus membership and filled up the stock hard drive real quick. I was trying to find out from my other geek buds what the connection to the hard drive was on PS3 and PS4, I assumed technology for the time on the PS3 was a 3Gbs SATA connection and the PS4 had a 6Gbs SATA. I have only seen that is using a USB 3.0 bus. I have read that you can plug external hard drives up to 6TB into your PS4 if storage is your issue by using a SATA extension cable (not a regular SATA cable) and a 3.5 enclosure. Yes, another device added, but running out of hard drive space won't be an issue. Good tip! I wouldn't want the extra bulk, but that's a good option for the ultimate amount of storage.